Three different projects with instructions for Tumbling Blocks or Baby blocks Wallhanging. Also projects for Six Pointed diamonds, Chevrons Dutch Tile block. 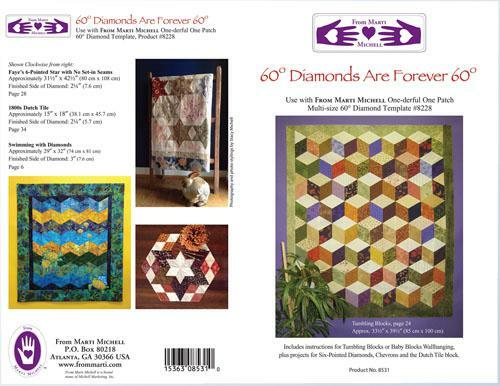 Use Diamond Triangle template Item MM8228.